The Blues need for defensive reinforcements and the ongoing John Stones Saga continues much to the anger and frustration of Martinez and Everton fans around the world. Yesterday he reiterated the ‘Stones is not for sale’ line as everyone awaits the next bid from Chelsea which will be in the 30 million range. Everton value him at £34 million. The confirmation that Everton have signed defender Mason Holgate from Barnsley for an initial fee of £1 million is a good next step. The 18 year old has already played 22 games for Barnsley at the League One level, is highly regarded and was a target for a number of Premier League teams including Man United. However, that doesn’t erase the continuing whirlwind around Stones. Today, several reports are saying that Man United are willing to jump into the fray with a player plus cash deal which would include Jonny Evans to land Stones. Evans has been one of the players that Everton have been targeting and the Daily Mail today are reporting that the two sides are close to agreeing a £7 million deal which does NOT include Stones in any way. Evans would be an ideal addition to the team as long as it does not include anything to do with Stones. He is 27 and is an experienced player, although I don’t believe he is anywhere near Stones or Jagielka. To be the third central defender with Holgate learning his trade in the reserve team would be my first choice. Also, he has been dealing with injuries over the last couple of years and the backup position works for that as well. 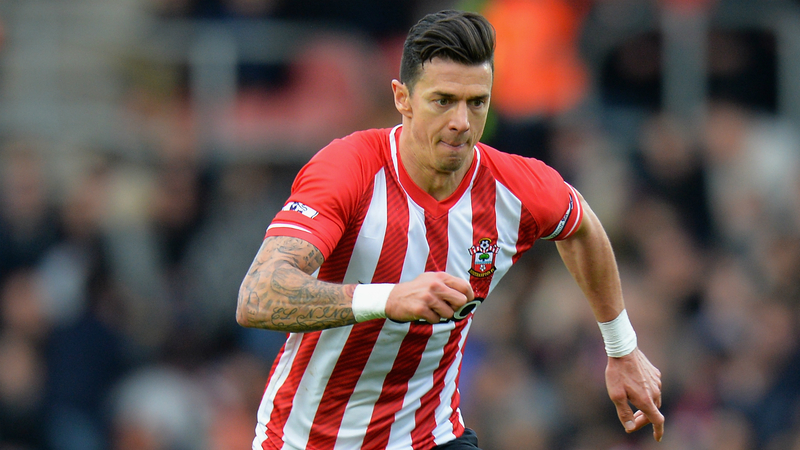 Sky Sports is also linking Everton with a move for Jose Fonte of Southampton. The Portuguese defender is also wanted by Villa. The report suggests that this move could happen if the Saints are successful in landing Virgil van Dijk from Celtic. I would prefer to have Fonte over Evans as he is a stronger player. My apprehension around this is that I see it as more of a ‘replacing Stones’ move rather than adding to the squad. Fonte is an important player for Southampton and I am not sure why he would leave to be a part time player with Everton. Update: The talk for Ramiro Funes Miro of River Plate has not continued to be reported, however this does not mean that it is a no go. If you’re supposed to be a fan, why are you helping to push Stones out the door? When did Everton ever say he was available for £34 million? That was obviously a figure put out there by the Chelsea-sucking media to put a lid on a rising price, and NOTHING to do with Everton. As for ‘everybody has a price’, ever heard of Leighton Baines?